Dr. Welk is a Professor in the Department of Kinesiology with broad interests focused on the intersections of physical activity (PA) and public health. He conducts research on PA assessment techniques and the application of these tools for various research, surveillance and PA promotion applications. He is the PI of the SWITCH project and works on the health coaching team. He also directs a variety of outreach programs including the Iowa FitnessGram Initiative. the ISU Community Campus Partnership for Health, WellnessWorks.as well as the ISU student "ExerCYse" club. 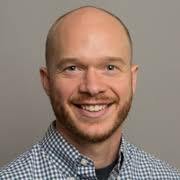 Click here to access a list of publications and a biosketch..
Dr. Ellingson is an Assistant Professor that specializes in exercise psychology and the application of behavioral theories to the promotion of physical activity in different populations. She is leading studies related to "health coaching" and motivational interviewing applications related to wearable technology. She is working with Dr. Welk and Dr. Meyer on clinical applications to promote activity in adults. Click here to access a list of publications and a biosketch. Dr. Pitchford is an Assistant Professor in the Department of Kinesiology with research interests focused on promoting physical activity and health in children with developmental disabilities. He is an experienced adapted physical educator, but his work promoting lifespan physical activity spans home, school, and community settings. Dr. Pitchford is also interested in improving the methodology of wearable activity monitors for individuals with disabilities and pediatric populations. Click here to access his Google Scholar Page. Dr. Vazou is an Associate Professor in the Department of Kinesiology with expertise in exercise psychology and behavior change programming in youth. She works as a Co-Investigator on the Switch project and is also a member of the PARTy (Physical Activity Research Team - for youth) that focuses on developing and evaluating assessment tools and behavior change programming that can help promote physical activity. She is the lead developer of the Move for Thought materials widely used in schools to help promote activity in kids at school. Click here to access a list of publications and a biosketch.